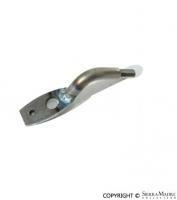 Soft top handle for all 356 (1950-1965) models. Tenax spanner tool for all 356 (1950-1965) and 911/912 (1965-1973) models. 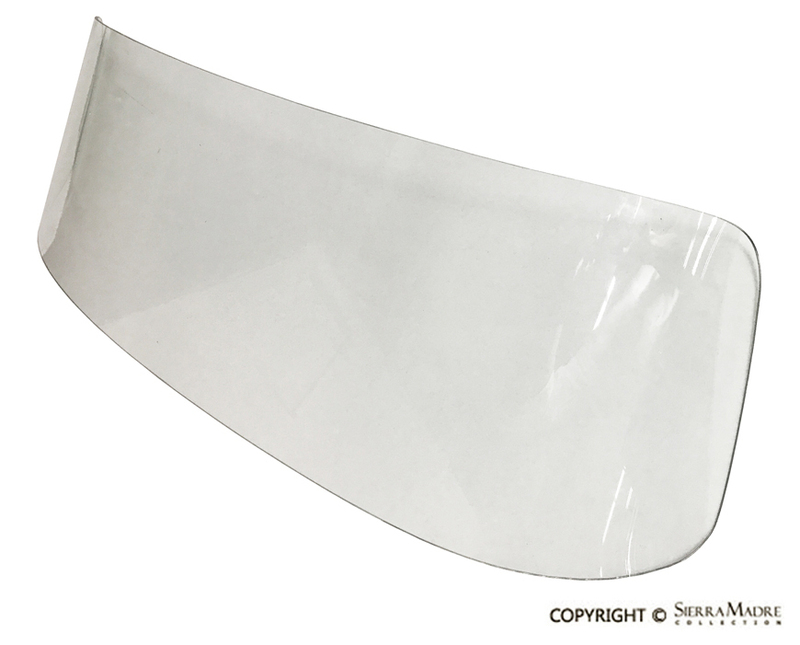 Concours quality windshield with correct SIGLA logo fits 356 Coupes from 1956 through 356B(T5), and 356 Cabriolets from 1956 through 1965. Show quality reproduction of the Cabriolet top frame for all 356B (1960-1963) and 356C (1964-1965) models. With some minor changes it should also fit the 356AT2 models. Custom order. ETA 1-2 weeks. High qality polished aluminum strip. Measures 36 inches. Excellent trim for rear of side windows on all 356 Cabriolet models. Two required. This part supersedes 644.561.877.00. Quality hardwood front header bow for Cabriolet models. Wood column set for all 356 Cabriolets. 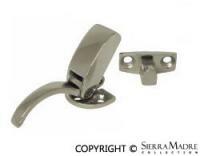 Top latch with stainless steel hook for all 356 Cabriolet soft and hard tops (1950-1965). Three required. 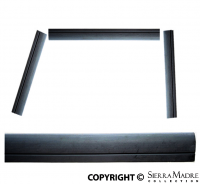 Aluminum holding rail set for side window seals on 356 Cabriolet, Convertible D and Roadster models. One set per car. 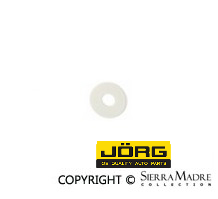 High quality (made in Germany) black door seal for all 356 Convertible D and Roadster models with convertible tops. Two required; one per door. 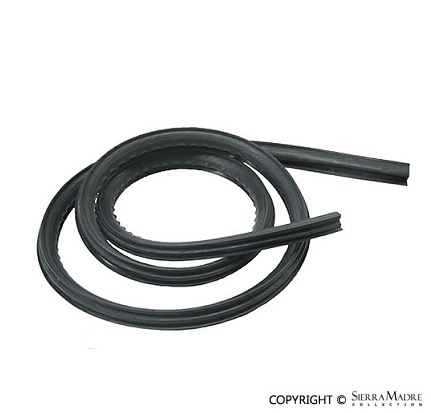 Black door seal for all 356 Cabriolet models with convertible tops. Two required; one per door. Seal will need to be cut prior to installation. Tension rod for windshield on all 356 Cabriolet models. Original grey color seal fits all Cabriolets! 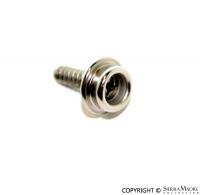 Chrome Tenax fastener bolt. Made in Germany. Measures 5mm x 10mm. Tenax fastener brass cap. Made in Germany. Tenax fastener clear plastic washer. Tenax fasteners (stud only) in chrome. Clear plastic washer is included. Made in Germany. Tenax fasteners chrome cap. Made in Germany. 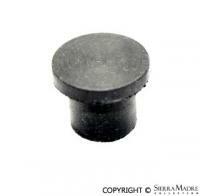 Fastener cap for Top cover, Tonneau cover, trunk carpet and other applications. Installation required. 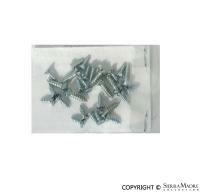 Fastener Stud for top cover, tonneau, trunk carpet and other applications. Installation required. Screw set for aluminum holding rail set on all 356 Cabriolets.